The Honda Motor Company has a long and intriguing history. It is one of the most successful foreign automobile makers in the United States, and for good reason. Hard work and creative genius on the part of teams of designers, engineers, manufacturers, and sales personnel the world over have made it what it is. Here are just a few little known facts about this auto maker. * Honda started as a manufacturer of motorized bicycles. Before making automobiles, founder Soichiro Honda started during the post war period with a team of 12 men to produce engines that could be attached to bicycles. 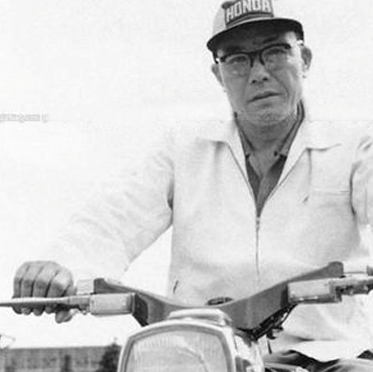 By 1964, the Honda Motor Company had become the largest motorcycle manufacturer in the world. * The Honda Accord was the first foreign vehicle manufactured in the United States. The Honda Accord was first manufactured in 1982 at its plant in Marysville, Ohio. The Accord would also go on to become the first model under a foreign brand name to become the best selling vehicle in the United States. * Honda doesn’t make just cars. Besides cars and motorcycles, Honda makes watercraft, ATVs, aircraft, mountain bikes, lawn equipment, and much more. Honda is also heavily involved in the research of robotics, with models in development that will, among other things, walk, run, dance, recognize faces and noises, avoid obstacles, and even conduct an orchestra. * Honda’s market value is greater than GM and Ford put together. Honda is also the eighth-largest vehicle manufacturer in the world. * The founder of the company, Soichiro Honda, has no formal education. He started as a mechanic at the age of 15. After six years, he quit his job and returned to his hometown to start an auto repair business. BKHONDAPARTS.COM has stayed true to the original commitment of Honda by offering high quality and reliability when delivering OEM Honda replacement parts.